Below are many of the organized ministry committees at Emmanuel led by lay leaders within the parish. This is not an exhaustive list and some summaries have not been submitted as of yet. Note that there are many other areas that parish volunteers assist with through out the year including the Backpack Project, planning for Shrine Mont parish weekend, organizing youth and other multi-generational fellowship gatherings or outreach projects, Clean-Up Day, Greening of the Church, Easter Egg Hunt, as well as organizing Angel Tree gifts for children and residents of Mountainside. If you are looking to get involved at Emmanuel this is great resource! Some areas remain open and looking for volunteers to organize. Volunteer opportunities are often shared within Emmanuel's weekly email newsletter. ​If your ministry is missing or if information needs updating, please contact the church office. An acolyte is one who assists a member of the clergy in a liturgical service by performing minor duties. Young people are warmly welcomed into the ministry of acolyting at Emmanuel Church. Through annual or semi-annual training sessions, an effort is made to create an atmosphere wherein the acolytes may be confident in their roles and upright in their involvement in the solemnity of the service. At the same time, they are relaxed in the knowledge of the moral support, gratitude and appreciation they receive from both priest and congregation. Training sessions are generally followed by pizza meals so that fellowship is fully felt! Crucifer: The Crucifer is seen as the “head” of the acolyting team and is asked to take responsibility for helping to guide the others before and during the service. 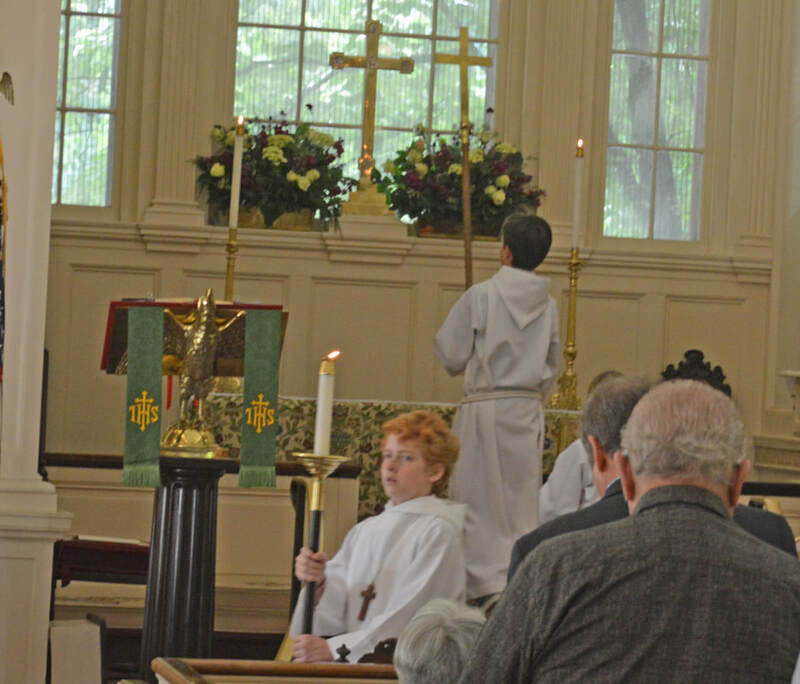 The Crucifer carries the Cross in and out, sits in the sanctuary, and assists with Communion. Torchbearer: Torchbearers carry the torches, representing the light of Christ, into the church. They process and recess together following the cross and sit in the nave, flanking the baptismal font. Gospel Carrier: On some occasions an acolyte will carry the Gospel Book, the word of Christ, into the church. ​For more information about becoming an acolyte or would like to volunteer as head of this ministry please contact the church office. Altar Guilds are members who care for the Altar area of the church. Their duties include altar hangings or paraments, altar linens, Eucharistic vessels, wafers and wine. Other duties may be assigned. All efforts are executed with a sense of reverence for the Glory of God and the Love of Christ. Emmanuel has 4 Altar Guild teams who serve one Sunday per month. Fifth Sundays are taken in turn by teams. Set up usually involves Saturday time. Sunday time covers pre-service set up and after service clean up. The Altar Guild usually serves at weddings and funerals. Linens are taken home and washed and ironed by Guild members. Other duties involve filling candles with oil as well as polishing silver and brass. Communication is usually by email so Altar Guild members should be emailers. If you would like to be a part of this ministry please contact Beth Askew askewbe@msn.com. ​The Emmanuel Bread Fund provides nutritious food to those in need, at no cost to them, on the first Saturday of each month. The Bread Fund is a Partner Agency with the Blue Ridge Area Food Bank (BRAFB), where most of the non-perishable food and all the meat and fresh produce we distribute comes from. In 2017, we served 541 households, comprised of 1606 individuals, from Nelson and western Albemarle counties. Last year we distributed 40,749 pounds of canned and dry goods, fresh produce and meat – including turkeys for both Thanksgiving and Christmas. Also in 2017 we changed our service model from dispensing prepacked boxes of food to Client Choice, which allows our clients to select their food from our shelves, based on their preferences and any health considerations. This change has been well received by our clients. With Client Choice, we promote sustainability and self-reliance for the people of this community by giving them access to healthy food. By being properly fed, they can be more effective in their personal lives, and by developing personal relationships we can also help them address other needs that they choose to share with us. In 2018 we initiated a computer-based client intake system. This will allow us to better manage client registration as well as generate BRAFB required reports. We will also use the data collected to identify client nutritional needs based on health conditions and any food allergies. Geographic data collected will help us to determine local areas that are underserved so that we can advertise our services there. All Bread Fund activities take place in a building adjacent to Holy Cross church – 2523 Craig’s Store Road, Afton, VA. Distribution day is the first Saturday of each month from 8 to 9:30. The shelves are restocked on the second Wednesday of each month beginning at 10. The Bread Fund is operated exclusively by volunteers, most of whom are parishioners from Emmanuel Greenwood and Holy Cross churches. For further information contact: Nancy Avery 434-361-2619 nla14@msn.com Or Cindy Kirchner 434-361-2553 cinki124@gmail.com. The CGS program was created sixty-five years ago in Italy. Today it's used in over thirty-one countries, with over half of the current programs in the U.S. being used by Episcopal churches. The program is beautifully designed to recognize the developmental level of young children, ages 3 – 6, appropriately linking their curiosity and capacity for learning with Christian liturgy and scripture. Short presentations are given by a trained catechist on a variety of subjects, including: parables, physical articles and architecture of the church, Holy Days, music, vocabulary, geography, history, the church calendar, etc. Following the presentations, our “young mustard seeds”select interactive materials such as art media, music, puzzles, dioramas, clay figures, etc., to explore and express their thoughts and feelings about God and His world. For more information about CGS, go to cgsusa.org or contact Barbara Fuhrman at btfuhrman@gmail.com. Based on the "Beulah Land" curriculum, Children's Chapel is a program designed for kids 3 to 8 years old. It takes place during the first half of the 10:00 am worship service. After the Collect is read, children will be led from the church to the parish hall to listen to an Old or New Testament story. They take turns putting felt characters on a large felt board to help the stories come alive, while learning about the bible in a loving environment. The children rejoin their parents during the Peace. Coffee Hour provides a weekly time and space for fellowship after the 10am service on Sundays. The Coffee Captain each Sunday is in charge of beverages and managing clean up while other parishioners sign up to bring food each week. We feed 75 - 100 people who gather for coffee and tea, food and fellowship every week. Full details on what is needed weekly and coffee instructions can be found here. Please direct your questions and ideas to Anne Dagner at crozetbulldogs@gmail.com. Thank you for supporting this vital ministry of hospitality! 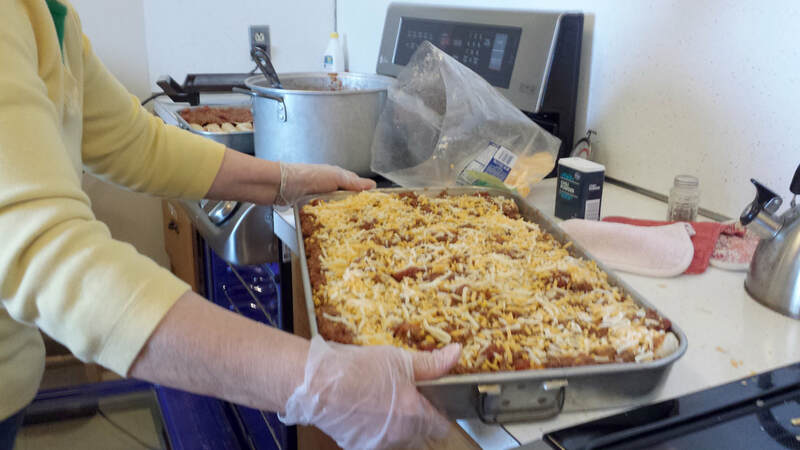 ​Disciples’ Kitchen is a hot meal program hosted by several churches in the western Albemarle and Waynesboro area. Emmanuel Episcopal serves lunch on the third Monday of even months, (February, April, June, August, October, and December) at the Second Presbyterian Church in Waynesboro. EEC serves a delicious breakfast on the third Saturday of odd months (January, March, May, July, September, and November) at the Basic United Methodist Church in Waynesboro. Those who are unable to attend the food service can still help by purchasing or preparing food, leaving items in the Emmanuel kitchen before 9:30 AM on the day we serve. For more information or volunteer with this worthy cause contact Barbara Fuhrman at btfuhrman@gmail.com. The Emmanuel Endowment Board is one of the ways that Emmanuel Church reaches out to the local community and beyond. Early each year the Endowment Board meets with mission partners, to help decide how to spend the income from our Endowment investments. In 2018, the Endowment gave $113,500 in grants to twenty-eight mission partners engaged in good works. 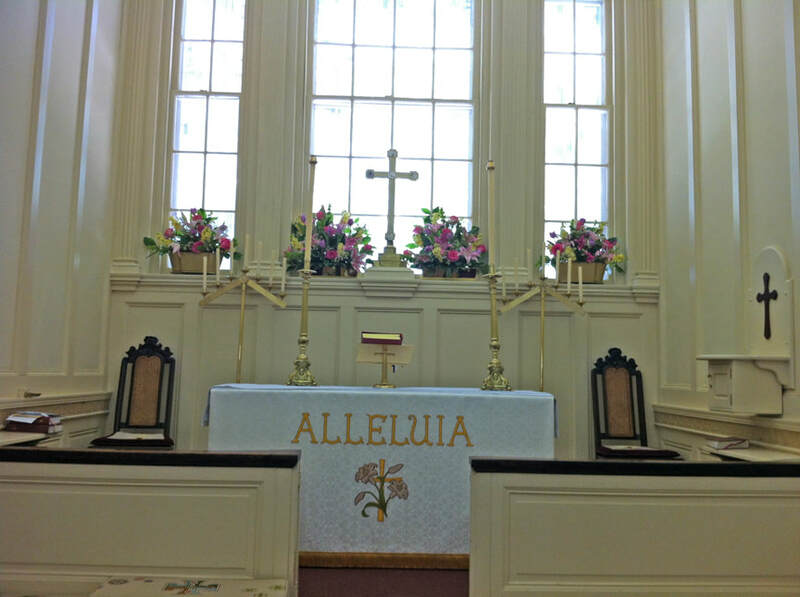 Our Endowment funds are managed as one consolidated fund, currently invested with The Trustees of the Funds, an agency of The Episcopal Diocese of Virginia. The Endowment Board is elected by the vestry, and is currently composed of Jim Neligan (chairman), Beth Colmery, Barry Jones, and Delores Smith. The Rector and the Senior Warden also serve, ex officio, and Mrs. Sara Reynolds serves as Secretary to the Board. The Board meets annually to allocate income from the Endowment Fund to local and international mission partners. It is the Board’s custom to meet and talk with the organization’s representatives before an initial grant is made. The Endowment Board invites members and friends of Emmanuel to recommend additional mission partners that might benefit from our support and participation. The Greeter's ministry plays a vital role in demonstrating the Christian tradition of love, fellowship and hospitality. Before each church service, two Greeters shake hands with and welcome parishioners. (Greeters are in place 20 minutes before the service). It strengthens Emmanuel's sense of community and continues to remind us of Christ's love for us and the love we need to share with our neighbors. Also, during the service Greeters become Presenters and carry the sacraments to the chancel before communion. The Presentation takes place immediately after the Peace. To get the timing right, Presenters go stand behind the last pew DURING the Peace. When there is the call for the collection to be taken up the ushers go forward. After the service, Greeters are encouraged to attend coffee hour for at least 15 minutes, to continue warm greetings, especially to anyone standing alone. If there are visitors, Greeters are encouraged to introduce them to a vestry member. This is the perfect time to show that our Emmanuel family can dish up love as well as food! To become a greeter or for more information please contact the church office. Mountainside Senior Living is a subsidized Assisted Living facility in Crozet. Emmanuel has been providing volunteer programs and financial support for many years. The nature of that support has evolved over the years. There is no Emmanuel Committee for Mountainside as such. There is a non-hierarchical team of volunteers that provide a ministry of presence for Mountainside residents. Gren and Jeri King are the Points of Contact for Emmanuel and Mountainside. Twice a month (2d and 4th Tuesdays from 3:30 pm to 4:30 pm) six to ten Emmanuel volunteers bring sweet and savory snacks to Mountainside and serve lemonade, snacks, hugs, and conversation to 12-30 residents. An Emmanuel volunteer plays mood music on the piano for the first half hour, and another volunteer on the piano then accompanies an old timey hymn sing. We end the visit by forming a circle and singing “Love is like a Magic Penny”. This program has for many years been called the Emmanuel Tea Party even though we’ve never served tea, nor used tea service items. The strength is in being there for residents who may have no one else in their lives. The Nursery ages 0-2 (sometimes up to 5 years of age) is a safe and wonderful place for children to play and learn new skills while their parents are attending church. Whether you are a member or a guest we welcome you! The nursery is located in the Parish Hall (accessed by covered brick walkway opposite the church entrance) and opens at 9:30a.m. There is someone there until 11:30a.m. (unless notified). The nursery will always try to maintain two people at all times. There are lots of fun activities for the children to do. The children play with Legos, coloring books and make jewelry; to learn shapes and colors. This also helps with hand eye coordination. If you have any questions or would like to volunteer to help in the Nursery, please contact the Office and leave a message for Causey Hope. ​Special Receptions such as Funeral Receptions, Bishops Reception, Pancake Breakfast, Church Summer Picnic, are coordinated with the parties involved to set-up and run the event. In most cases, we reach out to church members for help with set-up, serving, clean-up and providing food for/during the event. For funeral receptions, we often work with the family, or a caterer that they choose. We also coordinate closely with the sexton, church administrator on dates, church hall set-up, and kitchen requirements. For more information on helping with this ministry please email Maria Fox maria1772therese@yahoo.com. Stewardship theme for 2018 was “From this Place,” based on our mission “To live in Christ and seek to do His work from this place.” The 2018 Stewardship Committee was made up of Cass Cannon (chair), Karin Bonding, Kathleen Capshaw, Camilyn Leone, Doug Connell, Tom Duke, Katherine Merhige, and Denny Sigloh. Everyone brought an enormous amount of time, care, and talent to the task. Emmanuel Greenwood inspires people through the history, beauty, and, above all, the Christian spirit that lives here and is nourished here. The wonderful work that comes from this place—prayer, worship, teaching, weddings, funerals, meals shared, gifts offered and received—are only possible because of this community and serves as a powerful testimony to our shared faith. The stewardship committee sent pledge packets in October that included good news about our many ministry programs as well as a variety of ways to give to Emmanuel. On Stewardship Sunday, November 19, a Homecoming celebration was held at the church. Approximately 70 people joined us in celebrating and sharing the gifts of Emmanuel: history tours, music, family crafts, nature walks, and refreshments. Committee members made phone calls to parishioners to talk and listen. 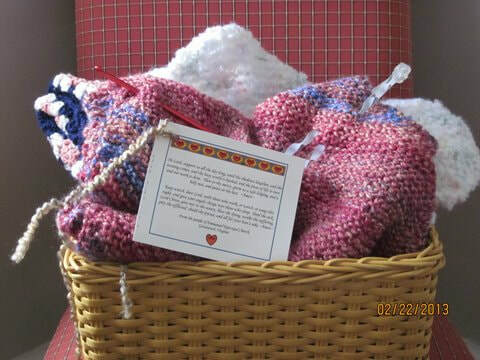 Each pledge was acknowledged with a thank you note. Ushers welcome parishioners, distribute bulletins, help seat people, take up the offering, guide folks to Holy Communion, help with parking when needed, and assist with any special needs during the worship service. In addition, ushers are present at most funerals/memorial services performing the same functions as stated above. If you would like to be an Usher or would like more information, contact Harry Lankenau, 434-760-9507 or hlankenau@icloud.com. Emmanuel’s Warm Clothing Ministry is conducted in conjunction with our Bread Fund food distribution effort. 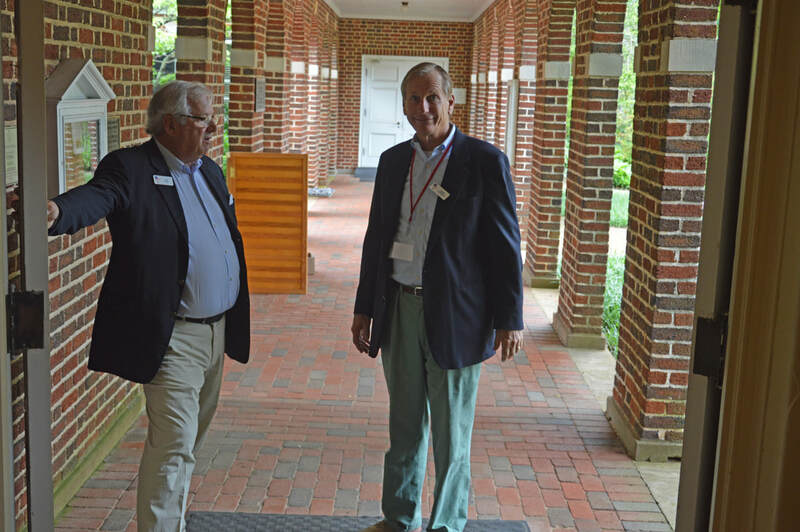 Both serve rural residents of western Albemarle and northern Nelson counties, and both are conducted in a long-standing partnership with Holy Cross Episcopal Church in Batesville. 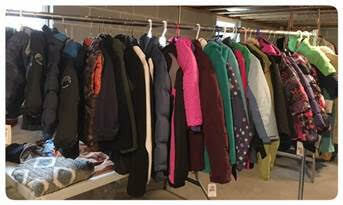 The ministry is conducted in two segments: collection of clean and gently worn warm coats, fleeces, sweaters, snow pants, socks, boots, hats & scarves for children and adults during October, and distribution at Holy Cross on the Saturdays of food distribution in November and December. Collection box donations in the parish hall of each church are supplemented by purchase of early spring sale children’s items. Local advertising begins with newspaper and bulletin board material in mid-October. Distribution occurs from the Holy Cross parish hall basement simultaneously with Bread Fund distribution. Last year more than 900 items were provided to local families in need. Volunteers produce the marketing materials, sort the donations, transport them to Holy Cross, arrange them selection and assist our clients with items which fit their needs. Kat Connell and Delores Smith lead a larger group of Emmanualites in this annual outreach. Most see great value in serving so many in need and enjoy the camaraderie of a team effort. Come join us! For more information please contact Doug Connell doug.connell141@gmail.com.